Words by Lee Waldman. Photos by Brett Rothmeyer. My ‘career’ as a bike racer began at the ripe old age of 30, in 1980 for those of you keeping score. ’Cross didn’t appear for another five years. That’s 31 years of cyclocross experience under my belt. After each, I’ve looked back and seen change. Maybe that proves that my ’cross learning curve has been flat. 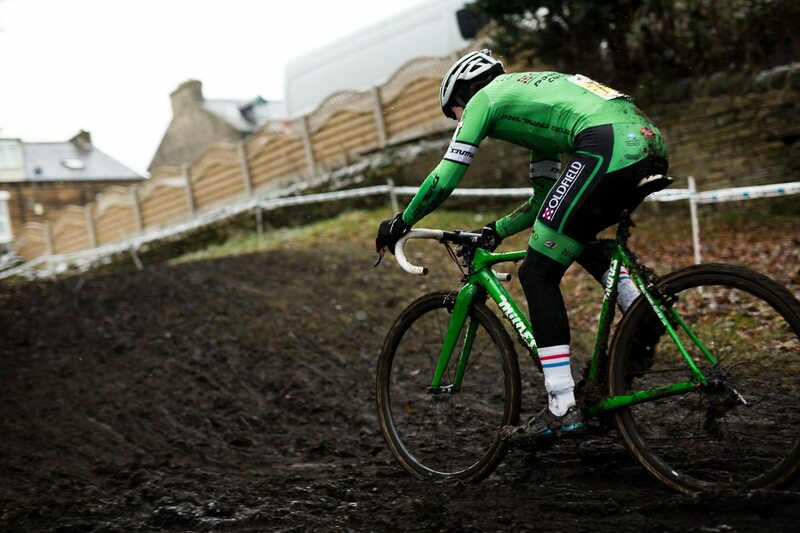 But the complexity of cyclocross has kept me interested and motivated. There have been good years and mediocre years. The learning, even when struggling, was worth whatever price I paid in frustration and disappointment. Epiphanies have been plentiful, and I thought I’d spend some time sharing them. Some may strike a chord. You might find yourself nodding in agreement, recalling a similar experience. Some have been mental, others physical. The sum total has brought me to a place where I can look at myself and honestly say, “I think I’m getting better at this.” I hope they will make you smile and appreciate the gift you’ve been given: to be a cyclocross athlete. I don’t use the term ‘athlete’ lightly, but it has led to one of my most recent epiphanies. Three years ago, I had the unfortunate experience of rupturing all three hamstring tendons while racing. The following year, a hit-and-run driver cracked my sternum, broke six of my ribs, and cracked my C1 vertebra. I could have ended up in a wheelchair, but the Universe had other plans. The rehab and recovery from that was longer and more challenging than I expected. In a way, though, it was a gift. I had, until then, defined myself as an athlete only through competition—more specifically, through success. Because of those injuries I was forced to closely examine exactly what it means to be an athlete, and through that process, came to understand the most important lesson I’ve learned in those 35 years of racing: being an athlete is a mindset. It’s about how you look at yourself, how you approach life both in and out of competition. My self-worth, until then, had been closely defined by racing and winning. Suddenly, racing was a mental and physical struggle. The question became, who was I? Was I still an athlete? Through lots of work and an equal amount of soul-searching, I was able to finally understand that the key to being an athlete is commitment and dedication. That was a true epiphany. 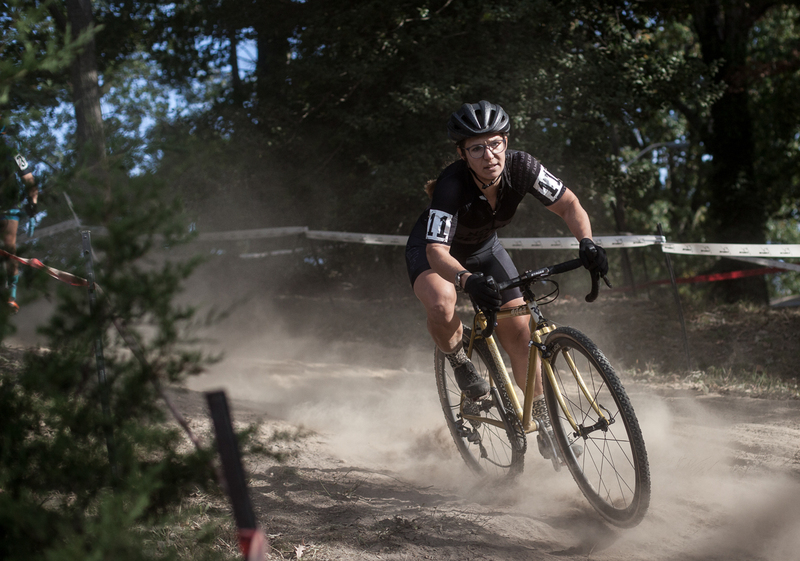 ’Cross provides opportunities to learn and hone the craft of riding a bike. Our first epiphany comes when we line up for our first race. We come away understanding what it means to suffer. We’re forced to decide if it’s worth it. For me, it was an easy decision, not because I was particularly good, but because I’m of the mindset that, when presented with a challenge, I’ll turn myself inside out to meet it. The next epiphany comes after a couple of seasons. You’ve mastered dismounting the bike without tripping over it and the dreaded hop no longer occurs when remounting. You’ve realized that the only way to get over that fear of hurting yourself is just to ‘do it.’ There’s no trick, there’s just courage—the thread that connects the learning and growing from there forward. Without courage, we’d never improve. Therein is the next epiphany. Cyclocross, like life, is all about taking risks. It’s risky to ride full-speed into a barrier section with the confidence that you’ll be able to unclip in time. It takes the same amount of courage to launch down a descent that might qualify as a black diamond if it were a ski run. It’s taken me years to learn to trust my tyres and, although it’s counterintuitive, one of my recent discoveries is how much better a tyre grips at 23psi than at 33. This next was one of the hardest for me to learn. As you age, and I’m there, the more you have to pay attention to rest, recovery, and healing. When you were young, rest wasn’t critical. Training day in and day out didn’t present a problem. Over the last three seasons I’ve had the painful and frustrating experience of having to overcome obstacles that pushed me close to the brink physically and emotionally. I didn’t fully appreciate, at the time, the difficulty of recovering from the types of setbacks I’d experienced. I felt fine physically after a short, or relatively short, period of recovery. But the lingering effects were evident in my mental approach to training. It’s been just recently, as recently as this past summer, that I actually felt ready to race my bike again. One of the biggest and most recent ‘ah-ha’s has been the necessity of bringing balance to my approach to racing. We all want results. For some, that desire to prove to ourselves ultimately gets in the way of our enjoying the experience. We learn to dread every race because we see it as an opportunity to fail rather than a chance to experience life to the fullest extent. My learning has been how truly valuable the chance to compete is—to be in the moment and mindful of how good it feels even when suffering like the proverbial dog, and to relish the opportunity to ‘succeed,’ even when success means simply lining up to race and doing so with a smile on my face. There are those practical epiphanies following on the heels of experience. I’ve had my share, most often when relating cyclocross to some other physical activity. My wife and I were serious ballroom dancers for over ten years. Before that, I skied seriously for almost 20. The lessons learned in both served me well as a ’cross rider. Dance is about balance, poise, and focus on the present, as is cyclocross. Since the terrain does its utmost to throw us off balance, the more we can keep in the moment and stay aware of our position in space relative to the ground, and to the bike, the better we ride. Technique through corners has challenged me from day one. ’Cross is about power and strength, but also about smoothness and technique. A good rider may be having a bad day, but with the proper technique, that bad day can be overcome. My most recent discovery came while daydreaming about the similarities between carving turns on skis and on the bike. When we carve a turn on snow, all our weight is on the outside ski. Sometimes we need to lift the inside ski off of the snow and point the knee in the direction of the turn. What if I pulled up on my inside foot while cornering in the dirt and tried to feel the pressure on the sole of my outside foot and the instep of my inside foot? It worked! I keep coming up with these epiphanies that have positively impacted my racing, and in some respects, my life. This one comes from yoga, but fits with sport: be in the moment. 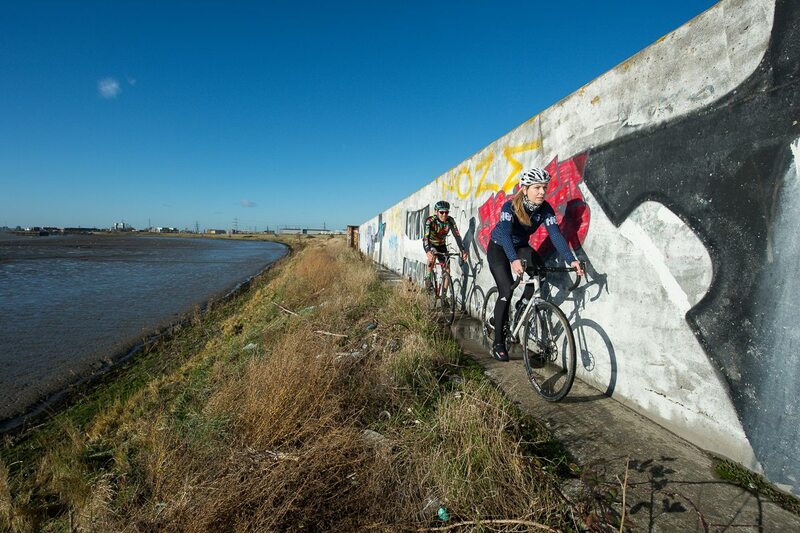 There’s no reason to think too far ahead while trying to ride a ’cross bike fast. Because if you do, you’re not focusing on what’s right in front of you. That doesn’t mean that you shouldn’t be strategic and plan for what’s coming up. How you enter and exit one section of the course definitely impacts the following sections. So, you need to be in the moment to prepare for what’s coming next. But thinking too far ahead creates more problems than it solves. It shifts your concentration and leads to mistakes. On a different note, no matter how old you are, having a coach, if you can afford one, is tremendously helpful. I’m one of those athletes who, left to my own devices, will regularly overtrain. I’m the overtraining poster child. When I finally made the decision to hire a coach, all of the guesswork was removed from my training. I don’t have to wonder if I’m doing the right things to prepare for and to recover from racing. I just follow the directions and things seem to work out. Probably the most important of all of these discoveries is this: we race for fun! Most of us will never earn a dime racing, but in reality that isn’t why we race. It’s the camaraderie, the sense of family, the fitness it brings and the longevity that’s a result. And if we forget to allow ourselves to bask in the glory of simply being athletes and risk-takers, then we’ve truly missed the point.